Dapwood wins Small Business Recycler of the Year! 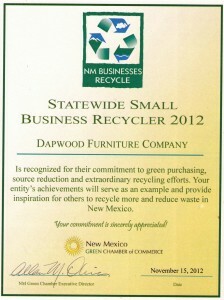 - Dapwood Furniture Co.
Dapwood wins Small Business Recycler of the Year! 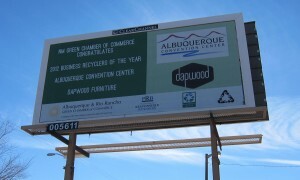 Dapwood has been named New Mexico’s 2012 Small Business Recycler! We are honored by the award and excited to see that all of our hard work is being recognized. We also have a billboard in Albuquerque!